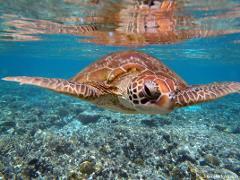 Discover the marine life just outside the harbour on this fun Ecotour. Snorkel the coral surrounds of Round Island, looking for dolphins, turtles, fish and more. Don't wish to swim, no worries just relax on the beach and enjoy the view. 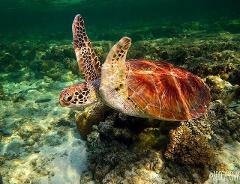 Lady Elliot Island - right on the Great Barrier Reef and located just north of Fraser Island!!! All inclusive tours depart daily from Hervey Bay - only a 40 minute scenic flight away....This beautiful island paradise is not to be missed! Wish to travel to Kingfisher Bay Resort on Fraser Island aboard your own private luxury charter. Do you have a wedding, business conference, family/school reunion organized? 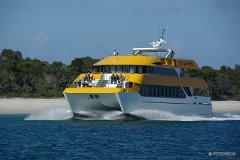 Travel and arrive in style aboard the Spirit of Hervey Bay.